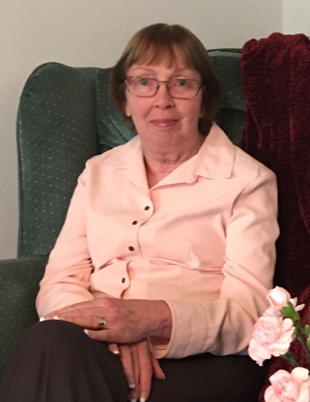 On Thursday, August 16, 2018, Gudny Stone of Guymon, Oklahoma, peacefully passed away at the age of 76 at the Twin Oaks Manor in Booker, Texas. Gudny Asa Bjornsdottir Stone was born on July 10, 1942 to Agusta Ingvardottir and Bjorn Sveinsson in Reykjavik, Iceland. She was one of 11 siblings in the family growing up in Iceland. After school, she worked at the US Naval Supply in Iceland, where she met Gary Stone. They were married in Reykjavik in 1970. In 1972, they moved to the States, living in Guymon since 1975. While remaining loyal to her homeland as a “Viking”, she embraced her new home, and very proudly became a US citizen in 1995. Gudny was not only a loving and supportive wife to Gary, but she was also “the most beautiful girl” he’s ever seen. Gudny was mom to two sons, Sverrir (S.B) and Woody. They loved her as a gentle and caring influence, a quiet protector and a hardworking mom who was always fiercely devoted to those she loved. To her six granddaughters, she is remembered as genuinely kind, brave, adventurous, sometimes silly and a little sassy. Above all, she will be remembered for her love of God. It was at the First Baptist Church in Guymon that she first heard the gospel and became a Christian. She was a faithful member of the Church, teaching Sunday School and Vacation Bible School. To those in her church and the community, she was incredibly hospitable and always the gracious host, welcoming so many in her home. She worked for many years, and took much pride in her work at the City National Bank & Trust Co. She retired from 16 years at the bank in 2010. Her days, from beginning to end, were marked with self-sacrifice and love for others. In the last few years of her life, she was diagnosed with Alzheimer’s. Even in her last days, when Alzheimer’s seemed at times to get the best of her, she would sing for any and all Amazing Grace and Jesus Loves Me. Her family and friends take joy in the resurrection of the body, and the hope everlasting, believing that she is now fully restored and beautiful, mind and spirit, in the presence of her Savior. She is survived by her husband of 48 years, Gary Stone; son S.B. (Jan), son Woody (Heidi), granddaughters Kelsey, Kendal, Kristin, Tami, Lizzy and Katie; and her sister Asta Droplaug Bjornsdottir. She is preceded in death by her father, Björn Sveinsson, and her mother, Ágústa Sveinbjörg Ingvarsdóttir; siblings Guðný Unnur Björnsdóttir, Guðrún Inga Wyman, Guðmunda Björnsdóttir, Sveinn Bergmann Björnsson, Þorvaldur Bergmann Björnsson, Birna Kristín Björnsdóttir, Nonny Unnur Björnsdóttir, Sveinjón Björnsson, Ásta Droplaug Björnsdóttir, and Ásmundur Björn Cornelius. The family will receive friends for visitation on Tuesday evening, 6:00-8:00 PM at the Henson-Novak Funeral Home, 501 NW Fifth, Guymon. Funeral services will be Wednesday afternoon, August 22nd, 2:00 PM at First Baptist Church, 2201 North Lelia, Guymon, with Rev. Michael Carter, pastor, officiating. Interment will follow in Elmhurst Cemetery. In lieu of flowers, the family request donations be made in the name of Gudny to the Alzheimer’s Association at www.alz.org , to the Oklahoma Baptist Homes for Children at www.ohbc.org, . or both may be mailed to Henson-Novak Funeral Directors, P.O. Box 1306, Guymon, OK 73942. Friends may sign the online book and send condolences at www.hensonnovak.com.